A new study by researchers at Vanderbilt University raises seemingly alarming questions about the possible link between coffee and lung cancer. SurvivorNet analyzes these studies all the time, and no, you shouldn’t necessarily stop the coffee habit. But the details are interesting and Vanderbilt is a highly respected, major cancer center. The study found that, among non-smokers, people who drank two or more coffees per day had a 41 percent increased risk of lung cancer over those who didn’t drink coffee. Non-smokers who drank two or more cups of tea per day had a 37 percent greater risk of developing lung cancer than those who did not drink tea. 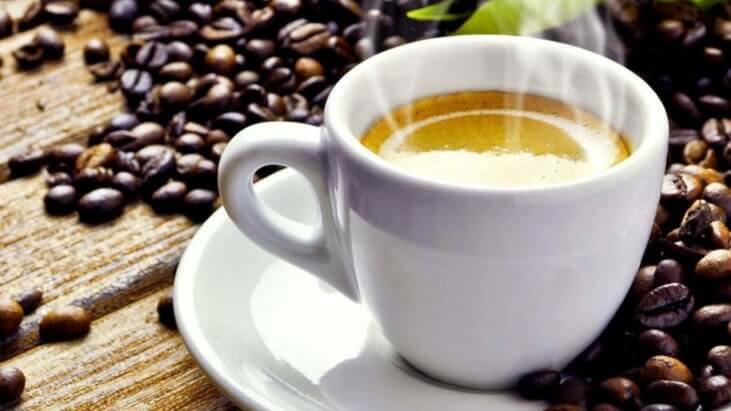 Both coffee and decaffeinated coffee were associated with risk, with the risk of lung cancer for decaffeinated coffee drinkers actually exceeding the risk for caffeinated coffee drinks by 15 percent. The risk did not significantly vary between age, race, and the types of coffee people drank. The data that researchers analyzed was taken from seventeen different studies, and involved 1.2 million participants in the United States and Asia, who were tracked for an average of 8.6 years. The studies recorded whether participants drank coffee or tea or smoked cigarettes, and half were non-smokers. Of those included, 20,500 developed lung cancer. The observational nature of the study means that it’s not possible to infer a direct, causal link between coffee and cancer. Also, there is no record of exposure to second hand smoke, which could account for lung cancer risk in people who don’t smoke. Another way that the results of the study may be skewed is that smoking, tea drinking, and coffee drinking habits were only recorded at the beginning of the study, meaning that if these behaviors changed over time, those changes were not recorded. Lung cancer risk, in this case, may not be as attributable to the habits expressed at the beginning of the study. There is a stigma against lung cancer patients, even though many of them don't smoke. of people who die from lung cancer have never smoked cigarettes. Even though lung cancer is most commonly found in smokers, there are a lot of other factors that can contribute to lung cancer diagnoses, including exposure to asbestos. People who have been diagnosed with HIV also have a higher lung cancer risk. A lot of lung cancers are discovered accidentally, and they usually affect people older than 65. A very small number are diagnosed before the age of 45.